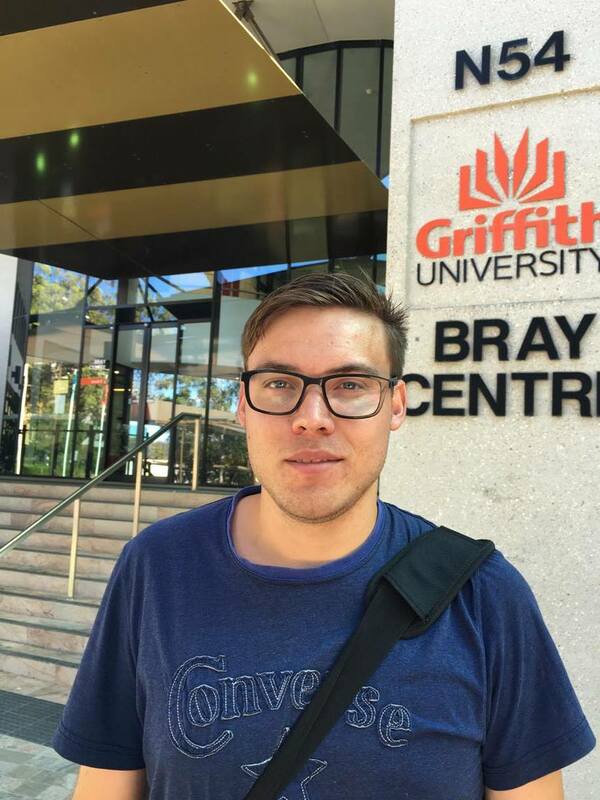 EU-> AU exchange students Simon and Kasper are quickly settling in to their first semester at Griffith University. They're pictured here in front of the Bray Centre on the Nathan Campus. The Bray Centre is named after the first Chancellor of Griffith University, Sir Theodore Bray. Prior to his appointment as Chancellor Sir Bray was a journalist and editor of Brisbane's "Courier Mail".